A work of mythic force, at once brutal and heartbreaking. 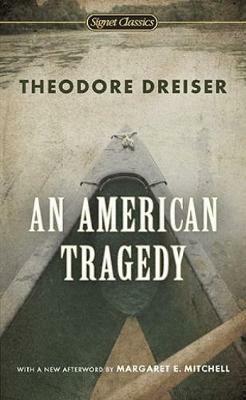 Theodore Dreiser was born in Terre Haute, Indiana, on August 27, 1871. After a poor and difficult childhood, Dreiser broke into newspaper work in Chicago in 1892. A successful career as a magazine writer in New York during the late 1890s was followed by his first novel, Sister Carrie (1900). When this work made little impact, Dreiser published no fiction until Jennie Gerhardt in 1911. There then followed a decade and a half of major work in a number of literary forms, which was capped in 1925 by An American Tragedy, a novel that brought him universal acclaim. Dreiser was increasingly preoccupied by philosophical and political issues during the last two decades of his life. He died in Los Angeles on December 28, 1945.